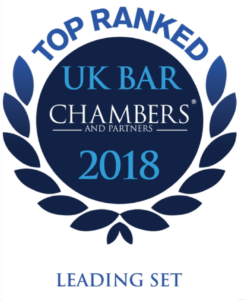 Members have acted for both major travel companies and individuals in relation to disputes and litigation arising out of the Timeshare Act 1992, Holiday Clubs, and the civil and criminal aspects of the Package Travel, Package Holidays and Package Tours Regulations 1992. Members have also advised the Civil Aviation Authority in relation to potential enforcement action under the Enterprise Act 2002 and the Consumer Protection from Unfair Trading Regulations 2008, as well as the application of the Montreal Convention to consumer claims arising from flight delays and cancellations. Members have been active in advising OFGEM, OFCOM and telecom and mobile phone companies on regulatory issues, including advice on enforcement action under the Enterprise Act 2000 and the General Conditions. We also advise businesses on compliance with the Communications Act 2003, OFCOM Guidance and the General Conditions (including advising on challenges to early termination charges, automatic renewable contracts and minimum term renewals). Members draft and advise on standard contractual terms, and advise and represent telecom and mobile phone companies in relation to legal challenges by consumers. Members of chambers have appeared before the OFT and the DTI in relation to prohibition orders made under the Estate Agents Act 1979. Members of chambers prosecute and defend a variety of road traffic offences. We also represent companies for alleged breaches of operators’ licences.